Ever heard of Krave Beauty? It is the all-new skin care product line by Korean skincare expert, Liah Yoo, who has over 370,000 subscribers on YouTube. 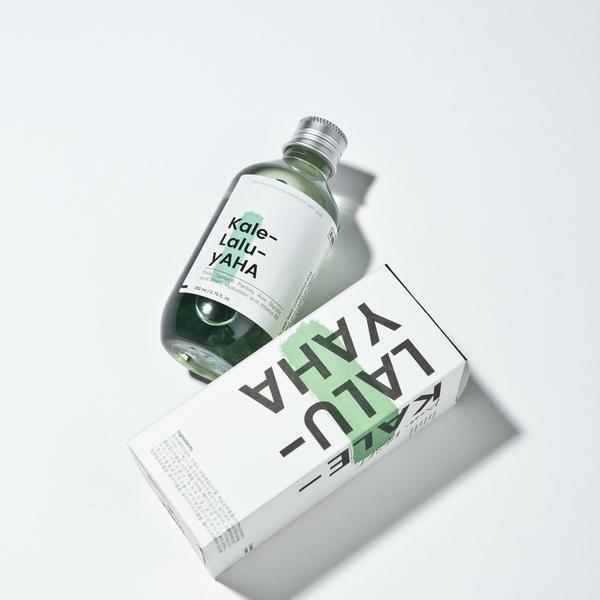 With Krave Beauty, Liah Yoo hopes to change skincare experiences for people who are struggling with acne, skin irritation, dryness, sun damage and other skin problems. The great thing is that you can have these exciting beauty products right here in Singapore, with Airfrov’s extensive network of travellers. Does your skin feel clogged and congested? This is probably due to dead skin cells clogging your pores, which is also a major contributor to acne problems, since these clogged pores are unable to expel sweat and body oil efficiently. With Krave Beauty’s Kale Lalu Yaha Resurfacing Exfoliator, you can get rid of dead skin cells and bring out your beautiful smooth and supple skin lying beneath. Kale Lalu Yaha is an exfoliating agent which contains ingredients that are highly beneficial for the skin, including glycolic acid, allantoin, aloe, vitamin B5 and Hyaluronic acid. Additionally, it also contains dark green leaves, kale spinach and parsley, which will deliver loads of nutrients for glowing and brightened skin. For those with dry skin, the Matcha Hemp Hydrating Cleanser from Krave Beauty is exactly what you need. This hydrating cleanser contains matcha seeds, hemp seed oil and vitamin B5, which purifies your skin while retaining and boosting its antioxidants, hydration and fatty acids. This means that your skin continues to feel moisturised even after washing! Many of us usually skip the most important part of our skincare routing; putting on sunscreen, because it is either too sticky or leaves a white cast. The latest Krave’s Core Series product is the Beet The Sun sunscreen which contains SPF 47 PA++++, in addition to skin-nourishing ingredients like glycerin and macadamia seed oil, and retails for $20. The formula is lightweight, non-greasy, and hydrating. It wears well under makeup, and can even enhanced the look of your foundation! The Beet The Sun sunscreen was sold out within 72 hours of its launch, but has since been restocked! Get yourself some sun protection here! As a veteran make-up and skincare guru with experience in reviewing hundreds of beauty products, there is no one more qualified to release a skincare line than liah Yoo. According to Liah Yoo, she decided to launch this line of skincare products to simplify skincare for young people into two products, which will be able to take care of all your skin’s needs. Krave beauty was launched in December 2017 and is currently available only in the USA and South Korea. But not to worry! With Airfrov, you will be able to get your hands on these skincare products in Singapore. All you have to do is post a request for them here and Airfrov will have a traveller bring you the items in Singapore. All You Need To Achieve Your 2018 New Years Resolutions!